The fighters are more gallant. The crowd is in a mixed state. Both fighters are being cheered and the noise is too intense. Even samsung galaxy S8plus with the dedicated noise filter mic could not hear itself. The match has been long anticipated. The match between two equal rivals. The crowd cheered down the arena as Tecno Camon CX is called out. Tecno camon CX, 1.5 ghz fast, can take up to 128Gh. Energy level is high up to 3200mAh. Tecno camon cx matched to the center in confidence and pride. The crowd went crazy as the next opponent was called upon. Infinix Hot S2 Pro, Energy level 3000mAh. Can move 1.3 Ghz fast. Hits can mount up to 128Gigahits. Dual Light saber at 13mp. Like a boss Infinix Hot S2 pro matched to the center. Like a planned move, Tecno and infinix made same steps backward and dashed towards each other charging with light sabers ahead. Both take to flight and made one huge Light saber jam which created a big bang throwing both far away. Crowd sent to a wow. Tecno Camon CX made an easy land while infinix hot S2 Pro fell heavy on the floor. The crowd went quiet at this point. The fair match now turned unfair. In order to get a turn. Infinix swiftly dashed in zig-zagged manner towards Tecno who goes octa to block the attack. 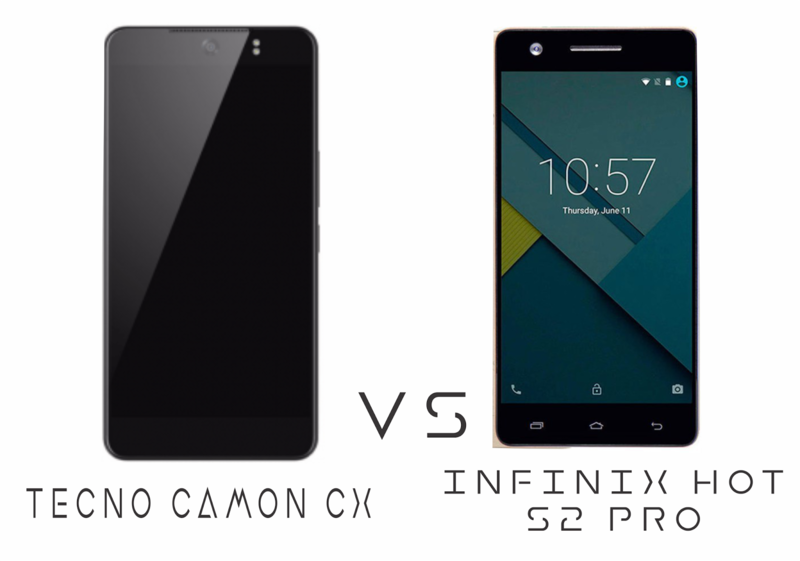 On reach, infinix splits to Octa smashes a huge blow on tecno camon cx. Camon CX is sent staggering, infinix seizes the opportunity, draws his light saber to get a hit at tecno camon cx. Camon CX gets pinch of stamina, moves swiftly aside to dodge the heavy attack from infinix. Woah, how possible!, No way!. Incredible!… comments from the restless crowd hailing tecno’s superb dodge. Infinix is frustrated, can’t believe it. Tecno gains enough momentum as he launches heavy fists at infinix hot s2 pro. Blocking and dodging infinix runs out of dodges moves, tecno gets a hit at infinix. Infinix went back screechingTo get the K.O infinix throws a spin and went Octa. Infinix pulls out a second saber, after faking with the first saber attack that draws to tecno launch the fist punch attack. Infinix Hot S2 Pro slams the second saber real hard on Tecno Camon CX. Quiet was the arena, as tecno camon cx hits the floor hard, Knocked Out. Infinix raised hands up as the crowd hailed him. Infinix Hot Note 3 Pro came up stage shaking his hands. “Twice met, twice beaten.bring it on tecno” Note 3 bragged.